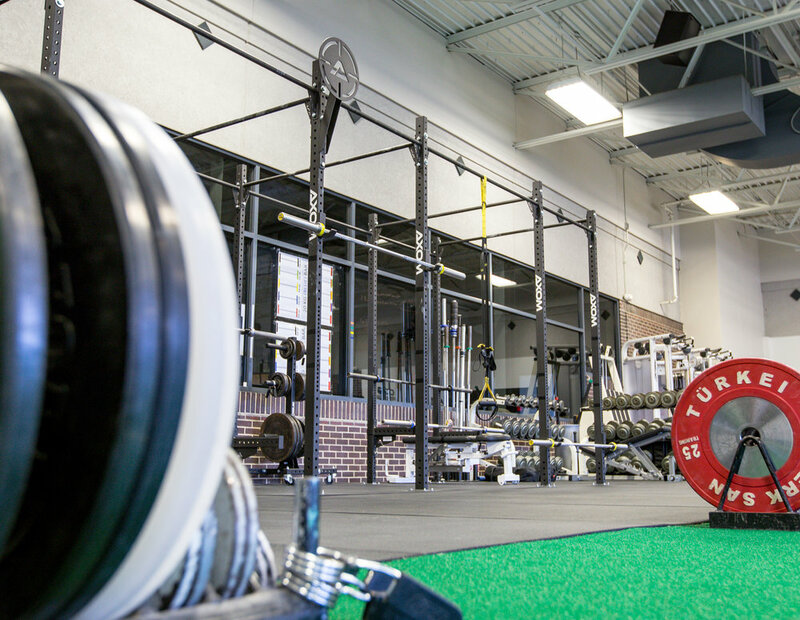 Axom Performance Rigs are not solely for CrossFit gyms... Mercy HealthTracks, a premiere high performance center in Springfield MO, specializes in providing top notch athletic development programs geared specifically to each individual athletes needs. Each program is built around the athletes goals, their sport, and their needs based on performance testing results. They maintain a low athlete-to-coach ratio, and all coaches on staff have master's degree's and advanced certifications for training athletes. This Axom performance pull-up rig is a 34'ft free standing rig in the standard 4' then 6'ft alternating lanes. 9'ft tall uprights using single pull up bars for all connecters. A total of 8 squat racks , 22 pull up stations or TRX style band/ring connections can be used utilized at once.